Connect with a circle of Wild Soul Seekers for a 13 month Sacred Journey of Apprenticing to the Wisdom in Nature, Rewilding the Soul, Transforming Personal Ceremony, and Gathering Earth Medicine. Wild Embodiment. Sacred Sensuality. Wild Presence. Sacred Authenticity. Sacred Reciprocity. Living within the Heart. Wilderness as Soul Guide. Soul Medicine. Spirit Guided. Inspirited, Living Land. Wild Earth. Plant Teachers. Animal Wisdom. Nature Communion & Communication. Everyday Sacred. Traditional Earth Skills. Shamanic Lifeskills. Elemental. Earth Medicine. Ceremony. Journey. 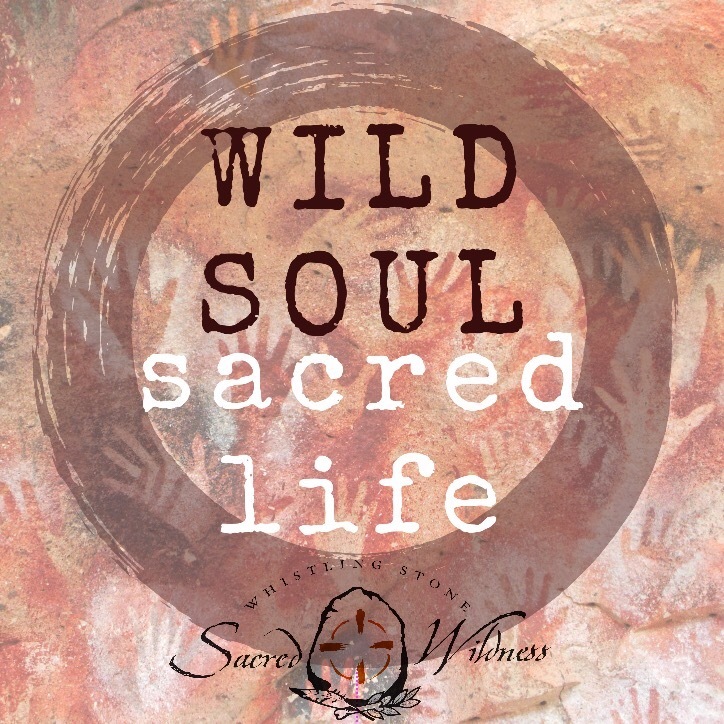 What does the Wild Soul, Sacred Life Pathway and Mentorship Consist of? Four – 3 month sessions, each focused on one of the four directions, elements, and archetypes. The sessions are designed to be taken in order and do build upon each other, but is each complete unto itself. You may move through the session material at a pace that works for you, knowing new material will be presented and discussed in each quarterly session. Material is posted and stored in our online classroom space. It includes video and audio material (please make sure your internet connection is sufficient to download/stream these files), along with written guidance for practices. You will also receive downloadable PDF format materials at the end of the year to keep forever. A devoted online classroom space for discussion, questions, sharing and connecting with each other in the community. This space is not connected with other social media and is a private space for our group only. Quarterly personal reflection and check in phone/skype session with Darcey. Each student will be given up to an hour long check in to discuss the work, progress, challenges for each quarterly session. It is up to the student to request & schedule these calls. Invitation to our private Sacred Wildness wilderness retreat in the summer/fall. Dates & Location TBA. We will have an opportunity to gather as a group in a private wilderness camping retreat to create community connections, celebrate in ceremony together, and go deeper in connection to the wild. This is a chance for pilgrimage to wildness with your community of rewilding souls! Only Wild Soul, Sacred Life participants will share this space. This is not a requirement, and cost is not included in the four session tuition, but will enhance, celebrate and enliven your practice. An opportunity to create your own Earth medicine bundle. The work you do in this pathway will help you and offer you many opportunities to do self healing/wholing work, and create your own medicine objects and tools. These tools will help YOU on your path and offer you guidance and focus, they may not necessarily be tools you share or use with others. on reading or computer time. The purpose is to be outside, connecting with nature, and your own soul path as much as is possible, while still being able to connect with a wild hearted community and guidance. Please note that time spent in nature, in the wild, outside, is the MOST important part of this work. Even if it is cold, even if it is winter, even if you live in the city. You cannot truly connect to wildness if you sit inside your house looking out the window. It may challenge you, you may feel fear, you may resist, you may find numerous excuses why not…that may be an important part of your process to discover what underlies this, but this mentorship is for you if you WANT and WILL yourself to spend the time in nature and outside with the elements and doing the practices! This mentorship is born from my deep reverence for the wildness of the Earth, and the powerful healing, growth and journey this relationship with nature has provided for me. This is a lifetime journey, I am not done, I continue this work, even as I feel an ever more insistent call to share it with my tribe. These practices are derived from years of discovery, learning, and time face to face and heart to heart with nature, in solitude and in community. Many of the principles and guidance offered here were given to me in prayer, ceremony and communion with the Earth, direct messages from the spirits of the land I am in relationship with. Others are tools I have found useful that I have gathered over the years from other teachers and experiences, derived from 15 years of personal shamanic practice, the Andean Mesa tradition, the work of Bill Plotkin and others. A healing practitioner training. This is for you, and your soul path and growth, which may consequently impact your skills as a practitioner in positive ways. A sit at home on your computer and read information and learn facts sort of affair. You will only get as much from this mentorship as you put in. I cannot do the practices for you, I cannot force you to go outside even if it is raining. You must do the work, you must be an active participant in your own process. A place to get free therapy or counseling for issues with which you need to deal professionally. Some of these practices have offered me deep healing around painful wounds in my psyche, and may also help you, but I am not a counselor/psychologist, and there are many times, for all of us, that the support and guidance of a professional can be the best course of action. We are all responsible for our self healing, no one can do it for us, but getting the right support is absolutely a part of healing.